Vacations to far-off locales are fun, but the plane trips to get there can make an unprepared traveler pretty miserable. Sidestep the aviation woes with these long-haul flight tips that will help you travel like a pro. I’m a terrible flyer. 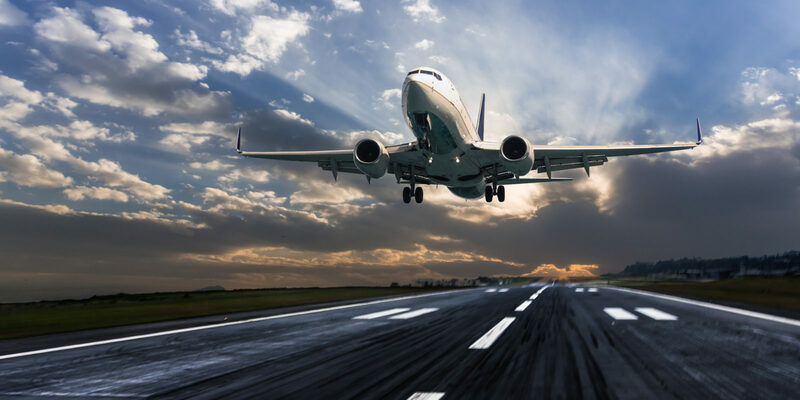 Short flights don’t bother me, but long, overseas hauls tend to leave me with a cramping stomach, a vague sense of nausea and fatigue that typically takes a day or two to shake. It’s not the ideal way to start a vacation, and it’s the ultimate curse for someone who loves to travel. 1. Maximize your ability to sleep. 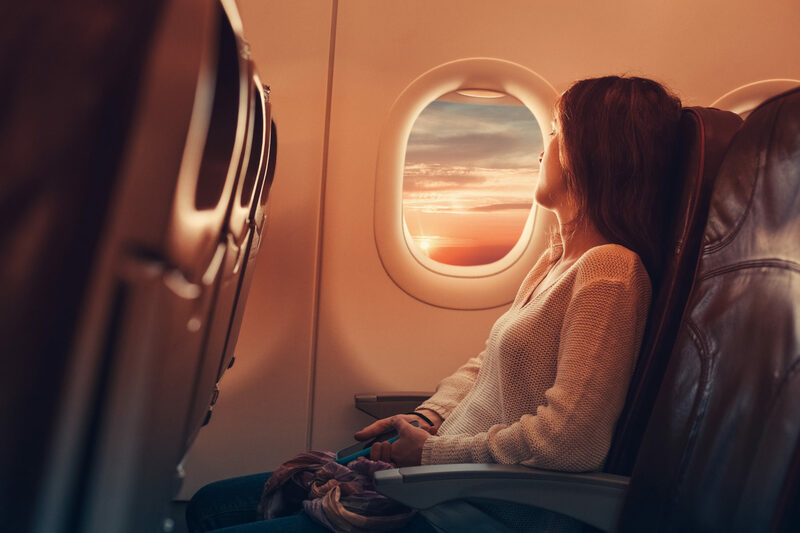 Sleeping on an airplane might top my list of the most uncomfortable activities; however, it’s worth trying to avoid the feeling of grogginess at your destination. You can keep jet lag at bay by sleeping on your flight when it’s nighttime at your destination. This will help you hit the ground running when you arrive, and ease the transition into a new time zone. More often, I just sleep for as much of the flight as possible, with the help of my arsenal of plane-snoozing tools. I make sure to lay off caffeine prior to departure; wear earplugs, an eye mask and comfortable clothes. Many travelers swear by sleep aids — prescription or over-the-counter — but it’s important to talk to your doctor before taking any. 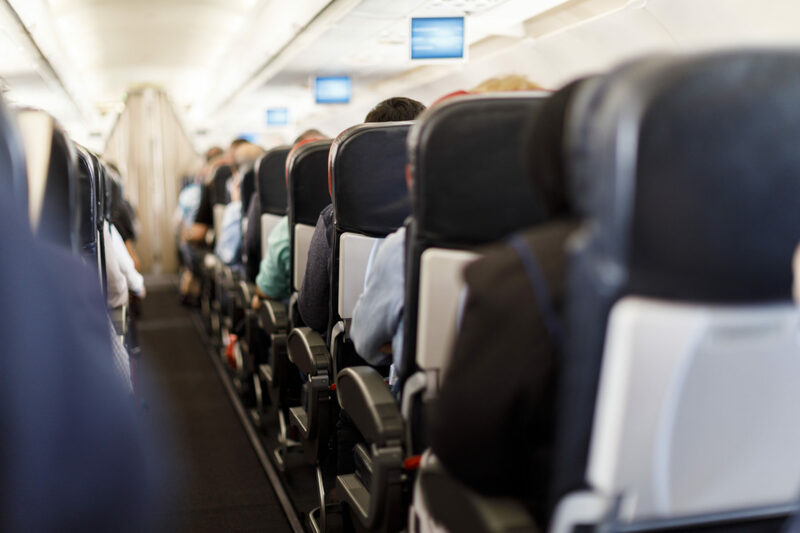 If you’re one of those unlucky passengers who gets motion sickness just by being in a moving vehicle, your best bet is to banish the queasiness before it hits and take an over-the-counter medication when you board the plane. If you’re like me and are fine on calm flights but bad stretches of turbulence leave you looking green, keep those medications easily accessible in your carry-on. Many motion sickness remedies also cause drowsiness, which is an added benefit if you’re looking to nap on a long flight. Prefer a more natural solution? Sucking on hard candies or cough drops often helps me battle motion sickness, as does eating ginger chews, which help calm the stomach. I once went through an entire jumbo bag of butterscotch candies on a flight to Cape Town, South Africa! I’ll always allow myself a little extra sugar if it helps me through 23 hours in transit. Planes are invariably cold, so bring a packable, lightweight puffy jacket with you — even when headed to warm climes. If you don’t wear it, you can use it as a pillow. Once you get to your destination, compress it into a small ball and stuff it in your suitcase. 3. Bring plenty of entertainment. There’s no way around it: Long flights are boring, and it can be painful trying to pass the time when you’re not snoozing. Sure, in-flight movies are usually available, but that’s only helpful if they’re films you actually want to watch. That’s why it’s smart to prepare with plenty of alternatives: Download games to your phone, bring multiple books and magazines (use a tablet or an e-reader to save space), and create some vacation music playlists — whatever it takes to keep boredom at bay. 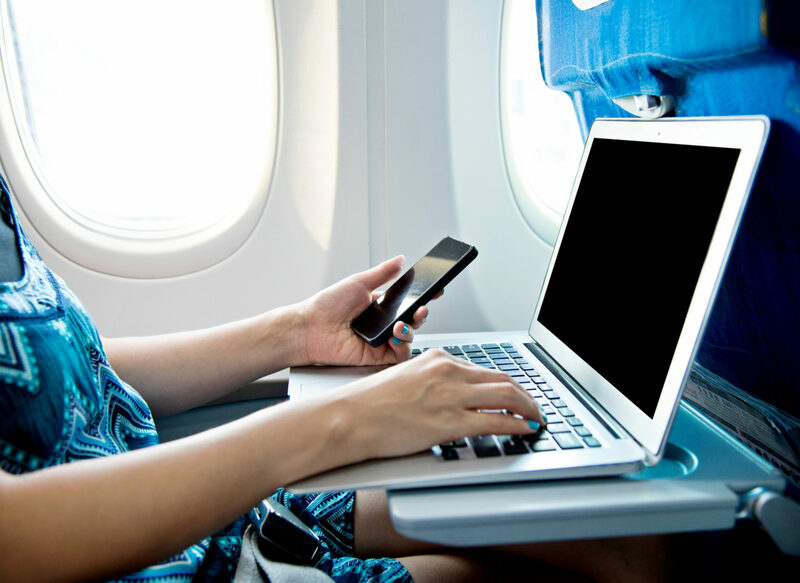 Don’t forget to pack earphones and a USB cord or charging block to keep your devices powered. 4. Stretch your legs frequently. Sitting for long periods of time can leave your body a little out of whack and in severe cases, cause blood clots. On a 15-hour flight to Bali, I made the mistake of sitting for too long and was horrified to find I had severely swollen ankles when I got off the plane. They took a full day to return to normal, which was highly uncomfortable and made it difficult to fit into my stylish sandals. You can improve blood circulation in your legs and feet during your long flight by wearing compression socks. Help the blood flow along even more by getting up and walking down the aisle every few hours, and pumping your ankles and calves periodically while you’re seated. Bring a reusable water bottle on board so you can keep hydrated without having to constantly ask for another small plastic cup of water (that you’ll then have to balance on your tray). Take advantage of layovers to recover and prepare for the next leg of your journey. Spend 10 minutes stretching or doing a few easy yoga poses, rehydrate and eat a healthy meal that won’t make you feel bloated or sick. Many travel credit cards include entry into airline lounges — if you can access one, take the opportunity to relax, snack and wash up in a setting that’s usually less chaotic than the rest of the airport. When all else fails, remember: The journey may be tough, but the destination will make it all worthwhile. Plan your next overseas trip with help from the Marriott Vacation Club Destinations® Exchange Program.